Properties in Municipality of Vila do Conde average 4.5 out of 5 stars. 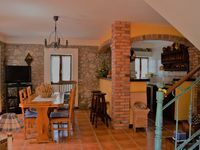 Property 7: Enjoy quiet time in a centuries-old cottage near Porto and the ocean. 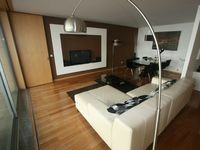 Property 12: Vila Chã beach apartment / terrace, 2/4 peoples, sea views / barbecue / snooker table. Words cannot describe how thrilled we were staying here. What a special place! This great apartment is located in the beautiful neighborhood of Pacific Heights. It is immaculate, the decor is beautiful and the view is not to be believed! The first thing I saw upon waking up everyday was a postcard view of the Golden Gate Bridge...from my pillow (which by the way was resting on a bed so comfortable we have decided to get one at home)! The view from the living room is even more spectacular. Michelle made the whole experience so easy. She treated us like old friends, welcomed us in and took care of all the details. She even left us fresh flowers and had all the little things we forgot to pack (band aids, sewing kit, etc). I would recommend this place to anyone wanting a luxurious and fun stay in San Francisco. Thanks Michelle!